The spine and central nervous system controls and coordinates every organ and cell in the body. It, therefore, only follows that spine protection and health is tremendously important to your overall well-being. This is why we have made chiropractic care the foundation for all we do at Springs Integrated Health. Our team of doctors, chiropractors, and physical therapists strive to provide unrivaled all-natural medical care. In this blog, we are going to take a closer look at chiropractic care and hopefully answer any questions you may have regarding chiropractic adjustments. Read on to learn more. A chiropractic adjustment, also known as spinal manipulation, is the action of loosening a joint to restore proper movement, reduce any nerve irritability, and optimize mobility and function. Adjustments provide a natural, drug-free alternative to pain relief. This is a question we hear often, and in short: no, your adjustment will likely be painless. Rarely do people report discomfort. The most common side effect is a bit of soreness, which happens infrequently and minimally. However, everybody is different when it comes to pain, and if you do feel pain, it will likely only last for a short time. Will There Be a Popping Noise? When an adjustment is needed, this means that two of the surfaces that make up the join are stuck together—not like two gears stuck, but rather stuck together through suction. When you give the components of your joint the space it needs to properly function, you release this suction-like sticking. And similar to when you pull a suction cup from glass, you’ll hear a pop. When performed by a trained and certified chiropractic, adjustments are absolutely safe. The issue has been extensively researched, and complications and painful side effects are extremely rare. Additionally, chiropractors are trained and educated to properly assess your situation and determine whether chiropractic care is applicable. Are Spinal Manipulations Performed for Non-back-related Problems? Yes. Because the spine is the foundation of all movement, a simple chiropractic adjustment can help prevent lots of issues. For example, if you are experiencing pain in your shoulder, hip, knee, or elsewhere in the body, an adjustment can assure that your limbs have the foundation to function properly. It’s even reported that ailments like migraines and stress can be mitigated through spinal manipulation. Should Chiropractic Adjustments Be Performed Regularly? Getting into the routine of receiving regular spinal adjustments is a very healthy habit. In fact, research shows that people who use chiropractic care as their primary form of holistic medical care lead healthier lives. Without the use of surgery or drugs, chiropractic adjustments provide a common-sense approach to better health. 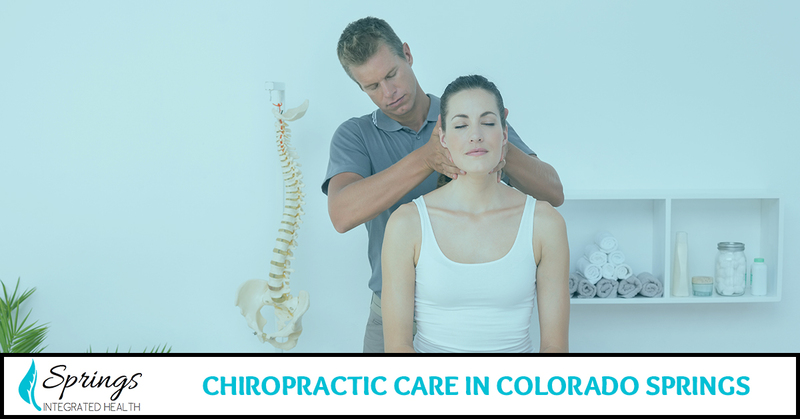 As Colorado Springs’ premier integrated health provider, we combine an array of health modalities that contribute to overall well-being. From stem cell therapy to physical therapy, we strive to be the best holistic wellness center in Colorado. Learn more about our chiropractic care here, and contact us today to schedule your free consultation.